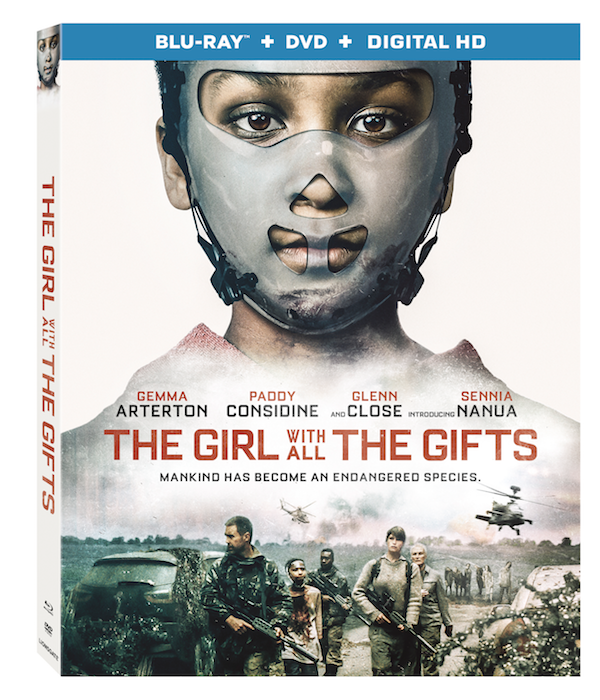 Step into a future dystopia when the post-apocalyptic zombie thriller, ‘The Girl with All the Gifts‘, arrives on Blu-ray™ Combo Pack (plus DVD and Digital HD), DVD and Digital HD April 25 from Lionsgate. The film is currently available On Demand. Six-time Academy Award® nominee Glenn Close stars alongside Gemma Arterton and Paddy Considine in this story of society’s breakdown after the outbreak of an unprecedented plague. Based on the critically acclaimed, Award-winning short story, “Iphigenia in Aulis“ by M.R. Carey, ‘The Girl with All the Gifts‘ Blu-ray Combo Pack and DVD will be available for the suggested retail price of $24.99 and $19.98, respectively. Rating: R for disturbing violence/bloody images, and for language. This entry was posted on Tuesday, February 28th, 2017 at 4:30 pm	and is filed under Film, News. You can follow any responses to this entry through the RSS 2.0 feed. You can skip to the end and leave a response. Pinging is currently not allowed.